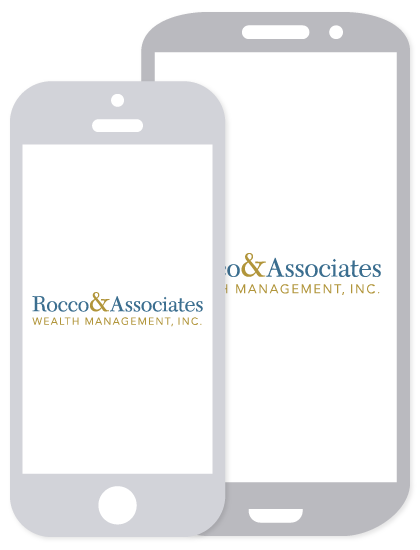 Around the Office - June 2015 | Rocco & Associates Wealth Management, Inc.
Ben joined Rocco & Associates this month to fill the role of Business Development Intern for the summer of 2015. He attended Fairfield Prep and grew up a few blocks away from the office near Penfield Beach. Ben is currently a rising senior and is studying Economics at the University of Connecticut. Throughout high school and college, Ben has remained active in his community and has helped with various fundraisers in both Fairfield and Tolland Counties. Outside of school and work, Ben loves to stay active and go to the beach in his free time. Ben spent his Spring Semester in 2014 studying abroad at the International Studies Institute in Florence, Italy and traveled throughout Europe. The addition of Ben to the Rocco & Associates team allows Joe, Charlie & Eric to spend more time with you, our clients, helping you to pursue your long term financial goals. Don’t forget to say hi to Ben next time you stop by the office. As we mentioned last month, we are even planning to host a BBQ during the next few months and need your help! This event will be a great opportunity for us to celebrate the summer season with our clients, friends, and business partners. At this point, we would like your feedback and suggestions for food selection, activities for the kids to enjoy, and even a few themes that we could all have some fun with. To assist you with some ideas, we would like to hold the event at one of Fairfield’s beaches, overlooking picturesque Long Island Sound. Please email any suggestions to Eric at [email protected] We look forward to hearing from you! Dennis Kilic joined the firm in the spring of 2015 as our Financial Operations Intern. He is originally from North Haven, CT and will be a junior at Quinnipiac University in the fall, pursuing a bachelor’s degree with a major in Finance and double minor in Accounting and Computer Information Systems. This summer Dennis has been promoted to Financial Operations Coordinator and will continue in his role throughout his junior year. He will work closely with Charlie and the interns to conduct ongoing financial analysis and screening of our investment strategies and models. In addition, Dennis has already been instrumental in loading up our investment strategies into MoneyGuidePro, our new full financial planning software package. Dennis’ long-term career goal is to obtain the Chartered Financial Analyst (CFA) designation. In an effort to deliver our clients the most advanced products and services, Charlie spent a day in New York City this month at LPL Financial’s Private Wealth Symposium. The event is designed to help investment professionals expand the services they provide to their clients. The conference introduced our firm to new programs and techniques designed to help meet client needs that we plan to implement going forward. Charlie felt the he was able to take away a lot of valuable insights from experts in the fixed income, energy, and private lending sectors. If you would like to learn more about any of Charlie’s conference experiences, don’t hesitate to give him a call!